Styling cues taken from our Ninja supersport models give the Ninja 650 an even more aggressive, sporty appearance. Like on its predecessor, all lines move forward and downward, suggesting a crouching countenance, however the sharp new bodywork gives the new machine a much more condensed, mass-forward appearance. The new bodywork is complemented by the new double-pipe perimeter-style frame and the Ninja 650’s characteristic offset laydown rear suspension. Attention to the smallest details contributes to the new bike’s high-quality finish. 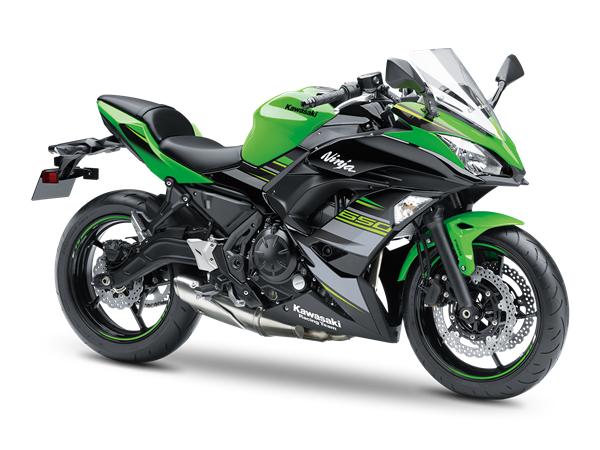 The Ninja 650’s Parallel Twin engine configuration was chosen as the best balance of good power characteristics and compact size. Engine tuning delivered both a rider-friendly character ideal for new riders and performance to put a smile on the faces of more experienced riders. 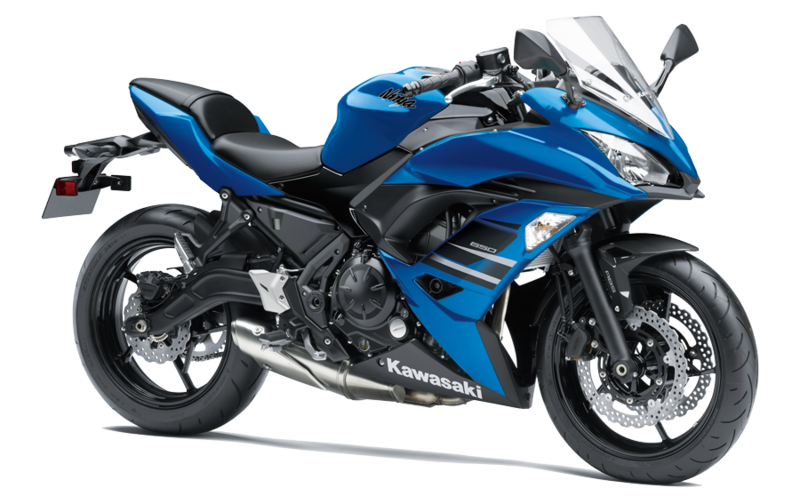 The engine’s compact size was one of the keys to realising the Ninja 650’s slim package. 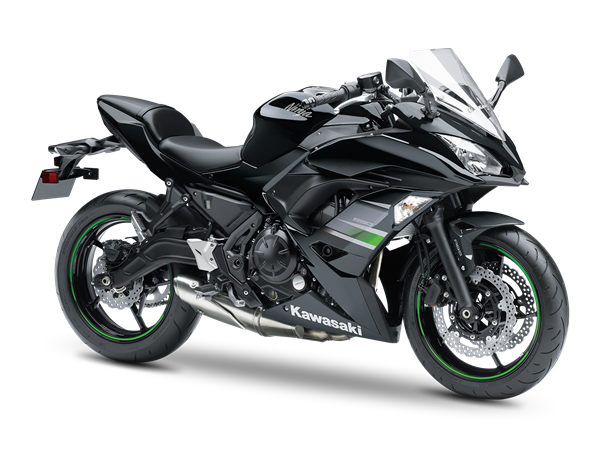 The Ninja 650fs compact size is due largely to its compact Parallel Twin engine, which enabled the use of a narrow, lightweight frame. While the new double-pipe perimeter-style frame maintains the key design elements of its predecessor, a new backbone-style rear frame design enables an even slimmer package. Rigidity balance of the new frame and swingarm, and new suspension settings deliver lighter, easier handling, while maintaining the sporty nature of the previous model. And with a new seat contributing to both comfort and peace of mind, care of an easier reach to the ground, the new Ninja 650 is more accessible than ever.